T2A3 East has replaced Beefy Beef Noodle but they still serve Taiwanese food. Does anyone know what T2A3 is suppose to mean? Everything inside looks the same but the menu is a quarter of the original size. In fact, it’s just one sheet now. Maybe they are focusing on things they can do well now. Personally I miss having options though. 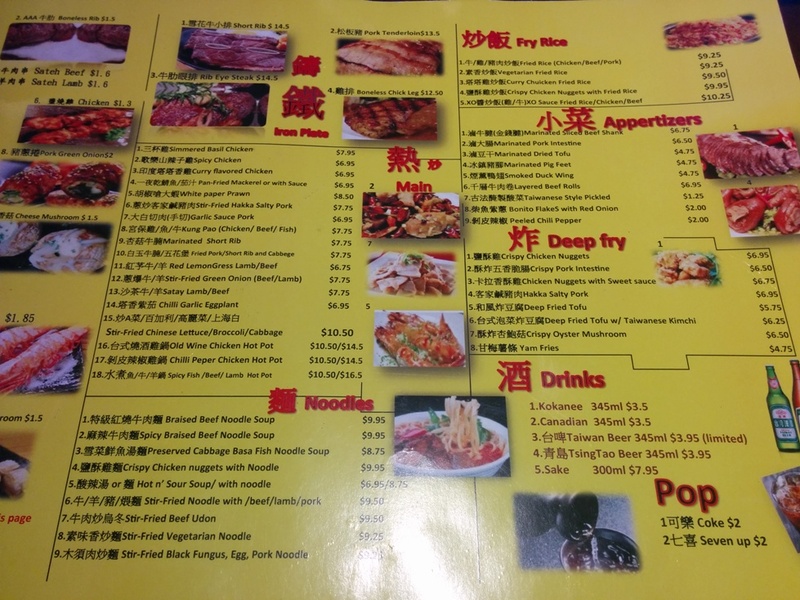 This entry was posted in Asian, Food Reviews, Taiwanese and tagged 3 cup chicken, hot and sour soup, hotpot.